WHAT IS AN NC REAL ID? The NC Real ID is a driver’s license or State ID card issued by the North Carolina Division of Motor Vehicles (DMV) that meets new federal identification standards. These identification standards were established by Congress after the 9/11 terrorist › continue reading. You’ve done your research and decided to open a North Carolina ABLE account for yourself or your child. How will you open the account and how will you use it? Check out our overview of NC ABLE accounts, then read on for our advice about opening and using these accounts.› continue reading. The Achieving a Better Life Experience (ABLE) Act was signed into law by President Barack Obama in December 2014. The North Carolina ABLE Act was passed in August 2015. These laws have been a great help to many people with disabilities and their families, but there is also a lot › continue reading. First in her series of interviews with elder care providers, elder advocate Margo Arrowsmith talks to Dee Wallis about general powers of attorney, healthcare powers of attorney, guardianships, managing assets, understanding family dynamics, and assembling your team so you can age in place!› continue reading. One day out of the blue, Janice got a telephone call from a man claiming to be with a computer repair company she had used in the past. The man said her computer had been hacked and needed to be fixed. The man offered Janice a lifetime maintenance agreement for › continue reading. As a twenty-something, I know that most of my peers haven’t given much thought to estate planning. They may be wondering if they need to do any estate planning at all. Some might not even be sure what estate planning means! Estate planning means arranging your › continue reading. Do I need a healthcare power of attorney in North Carolina? Yes! Even if you have a standard power of attorney in place, you will want to execute a healthcare power of attorney (“HCPOA”) to provide guidance to your doctors and loved ones about your healthcare desires. A HCPOA is a document that authorizes › continue reading. A separation or divorce can be an overwhelming and exhausting process. However, a separation or divorce can also be the start of a new life. When the dust has settled and you are ready to begin looking to the future, one of the first steps you should take is reevaluating › continue reading. 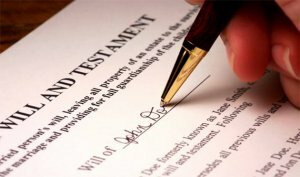 Do I need a will in North Carolina? 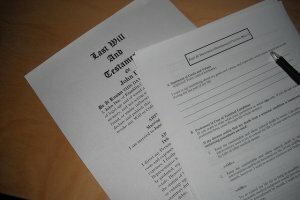 People come up with all sorts of reasons for why they don’t need a will – I’m young and healthy, I don’t own that much stuff, everything would go to my spouse and that’s fine – but in reality, none of these excuses carry much weight. The truth is that › continue reading.